If A Water Damage Disaster Occurs In Your Conway Laundry Room, Our Crew Can Help! If you need our services to clean up your disaster, give us a call at (407) 985-3200 today. In a society reliant on electrical appliances, we tend to expect them to work without fail. Water removal may prove necessary; however, when a faulty washing machine hose gives way and covers your floor with water. It can be stressful to consider taking on such a monumental cleanup task on your own, as missed spots can easily lead to mold growth or structural damage. When appliance failures result in you needing water removal in your Conway home, certified SERVPRO professionals have the tools necessary to clean, dry, and deodorize your home while preserving your possessions. In cases where water affects porous surfaces such as carpet, it is vital to thoroughly extract moisture that has been absorbed quickly to preserve carpet, padding, and the subflooring underneath. If water from your laundry room has reached your carpet, we can use air movers and dehumidifiers both above and underneath flooring to address moisture absorbed by carpet. Fast drying in conjunction with EPA-registered antimicrobial cleaner is key to preserving your carpet and shielding it from potential mold growth. In cases where hardwood is affected by water, it can also be preserved. Drying mats with suction devices attached can be placed on the floor at ground level to accelerate moisture evaporation. This process is often aided by plastic sheeting that acts as a conduit for directing moist air out of your home. SERVPRO technicians often use a 6-millimeter thick plastic or poly sheeting that, when taped down, isolates moist air for easy collection. Not only does this drying method aid in collecting water from hardwood flooring and plywood subflooring, but it keeps dehumidifiers from being overwhelmed while they help dry other surfaces. In some cases, dehumidifiers may also be operating inside the plastic tenting to extract moisture. SERVPRO of Conway / Holden Heights is prepared to clean up any size disaster in the area. If you need our services to clean up your disaster, give us a call at (407) 985-3200 today. SERVPRO of Conway / Holden Heights can help you clean up a mold infestation in your business. Mold can present some serious issues for your restaurant in Pine Castle. It can cause health concerns for employees and even customers as well, and lead to a loss of work hours or even cause you to close your doors temporarily. Knowing how to prevent mold damage in the first place helps avoid any downtime for your business. Mold damage in your Pine Castle business is something that should be taken care of right away. If you notice an outbreak of mold, get in touch with our professionals at SERVPRO immediately. As an experienced remediation company, we can take care of the mold quickly and thoroughly with our tools and knowledge before the mold spreads further. Wherever there is the presence of moisture, mold can begin to grow in just twenty-four hours. To prevent this, keep an eye out for any leaks around your restaurant and take care of them right away, even if it requires the assistance of a plumber. Fix any roof leaks as well and keep gutters cleaned out. Even a slow drip can escalate into a more significant issue if it is not fixed. When the mold is present already, and you need us to help clean up the mess, SERVPRO technicians assess the damage and then section off the affected area using plastic sheeting and create negative airspace. We do this to prevent the mold from spreading to other areas of your restaurant while we do the cleanup and restoration. We also use protective gear to keep us from breathing in the disturbed mold spores. When you find mold in your business, leave the cleaning to us instead of relying on store-bought cleaners. Many people believe they can clean up the mold by using regular bleach. However, bleach contains water, so even if it kills some of the spores, it is adding moisture to the mold and lets it continue to grow. If there are any contaminated items in the affected area such as rugs or furniture, we may need to remove them while we work and clean them at a separate location. If the infestation is severe, we may need to replace some structural items such as drywall or subflooring. To keep an eye out for mold damage you can also monitor your humidity levels in the building. There are inexpensive monitors available for purchase which can alert you to any spikes in the moisture content in the air. Proper ventilation, especially in the kitchen, also helps to keep moisture out. Overhead vents and fans are essential in a working kitchen. SERVPRO of Conway / Holden Heights can help you clean up a mold infestation in your business in Sky Lake, Pine Castle, or Edgewood thoroughly and quickly. Please reach out to us by dialing (407) 985-3200 as soon as you find the issue. Click here for more about Pine Castle. Water removal is urgent when your home is affected by flooding. Contact SERVPRO for flood damage remediation services. Flooding can cause devastating effects throughout your Edgewood home, especially to elements like flooring materials. With renovations and even initial construction projects, many homeowners have sought the aesthetic appeal and functionality of vinyl flooring planks. While these simulate hardwood flooring, they can often get installed more cheaply and easily. Much like actual hardwood, these flooring materials require immediate attention when exposed to standing water, and that is where our trained IICRC-certified water restoration specialists can help. Severe storms can produce vulnerabilities that allow flood damage to occur in your Edgewood home. 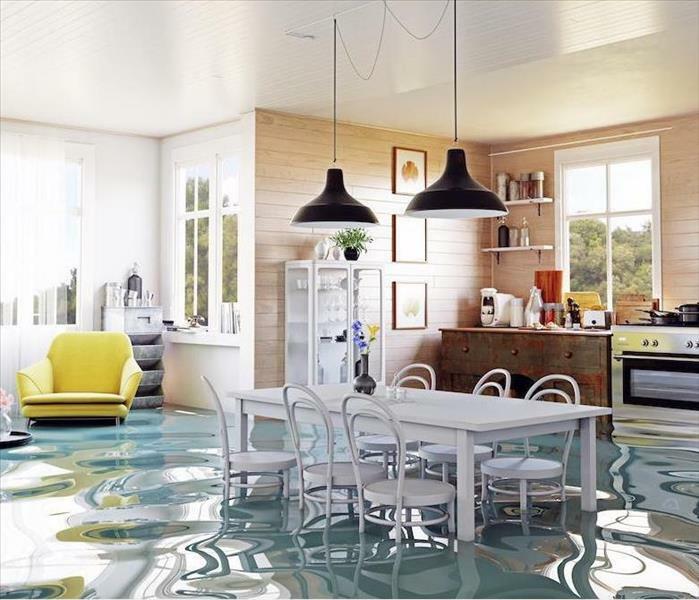 While many materials can become affected by the spreading water, your flooring is often a point of collection for this water flow, pooling over this material and beginning to saturate it immediately. While a fast response can often prevent the need for removing the material and replacing it, that requires quick reaction times from the homeowner to reach out to our SERVPRO professionals to get us there. Once our team arrives, we can quickly work to begin our effective mitigation tactics. Extraction is a critical component of this process, as it reduces the volume of water to affect the flooring continually. We have portable sump pumps, wet-vacs with extraction wands, and even gas-powered trash pumps for rapid removal of standing water. Once the excess has gotten removed, our team can begin work to dry out the damaged areas and have specialized equipment that can begin drying out saturated vinyl flooring. Water can quickly penetrate seams and cracks in the vinyl planks, particularly where the tongue and groove installation occurs. Our Injecti-dry system can address saturation into the subflooring, slowly drawing out moisture in a controlled fashion. We can consistently monitor moisture content to ensure that these planks do not become overly dried, which can also damage them. Many materials and structural elements can become exposed to spreading floodwater. With the fast response of our SERVPRO of Conway / Holden Heights team, we can work to dry out saturated materials and reduce the need for tear out and reconstruction when possible. Give our experienced team a call 24/7 at (407) 985-3200. Click here for more information about Edgewood. Pine Castle Fire and Smoke Damage? SERVPRO Has the Team to Make "Like it never even happened." You may not expect a small kitchen fire to cause lingering smoke odors in your home, but it can. For the duration of a fire, the smoke can spread through your house and various materials, which are porous like drywall, carpets, drapes, wood, clothing, and furniture can absorb it. Smoke smells may then get trapped in these materials and reoccur from time to time. You can take several steps to help eliminate smoke smells from fire damage in your Pine Castle residence. The intensity of the smell varies based on the amount of smoke produced, the size of the room or house and burnt materials. Different materials produce different smells when burned. Some scents are easier to remove while others like the smoke that burning plastic materials produce are harder to remove. To eliminate smoke odors, you can begin with airing out your home. Opening the windows can let out some of the odor and allow fresh air to enter. However, never activate the HVAC system because the smoke causing odors can circulate throughout the house, according to SERVPRO. You can also remove the drapes and curtains and hang them outdoors to air out the smell. Dry cleaning the drapes and curtains are also an excellent way to eliminate the lingering effects of the fire. If the upholstery and carpeting have a smoke scent, you can sprinkle baking soda on the affected areas and let it remain for three or more hours to absorb the odors. After that, vacuum clean the furniture or carpets to remove the baking soda. SERVPRO technicians can clean restorable contents and deodorize them. We do not just cover up lingering smells with fragrance. Instead, we seek out the sources of odor and remove them. If you need to eliminate stubborn smoke odors from your home, SERVPRO of Conway / Holden Heights is the right company to call. Call us today at (407) 985-3200 for immediate response in Edgewood, Conway, and Pine City. City-Data by clicking right here. What is the Best Way to Remove Smoke and Soot Damage From Your Conway Home? Smoke and soot damage are difficult to remove without professional remediation. SERVPRO of Conway / Holden Heights is available 24/7. 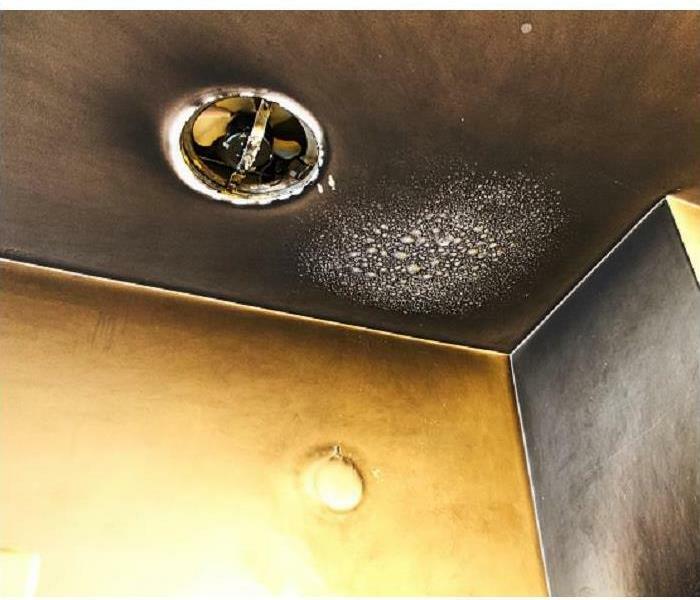 After the fire, there are some levels of fire damage to address even in a home blaze that would qualify as small scale. The key to lessening the secondary damage from smoke, soot, and water used to extinguish the fire is to begin the cleaning and restoration of the property as quickly as possible. When SERVPRO arrives to remediate fire damage to Conway properties, teams of technicians do several things at once to make the cleanup efforts go faster. We use containment when the fire is local to only a specific area in the home. Our technicians set up barriers to control the spread of odor-causing soot particles naked to the human eye. At the same time, other technicians take moisture measurements and determine the best course for drying with positioned air movers and humidifiers for fast results. Once the affected areas are determined to be dry using moisture probes, SERVPRO technicians access the type of smoke and soot residue that needs cleaning from surfaces and restorable objects using wet and dry sponges as appropriate to remove all traces of the fire and odor. Our certified Odor Control Technicians (OCTs) determine how much the odor has spread throughout the home and affected building materials, fabrics and porous items. 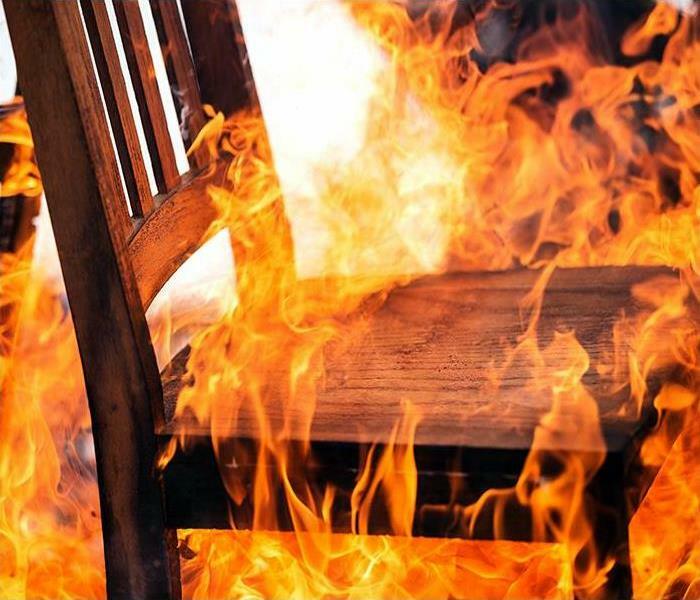 We often use multiple methods to completely eradicate odor left behind by home fires such as HEPA-filtered air scrubbers with charcoal filters along with a follow up with a thermal fogging application to neutralize odors in carpeting, fabrics and other penetrable items that may be holding stubborn odors from the fire. The solvent-based fog travels in the same manner as smoke and effectively overtakes and eliminates deeply seated odors. We know cleanup needs to start as soon as possible for the best outcome from fire damage. Contact SERVPRO of Conway / Holden Heights at (407) 985-3200 and talk to one of our certified technicians, we are available 24/7 to assist you. Read more about Conway here. Air conditioners are a must when it is hot. However they need maintenance just like other appliances. Should you smell mustiness, call SERVPRO. Circulating air in your house can be a very incredible convenience. 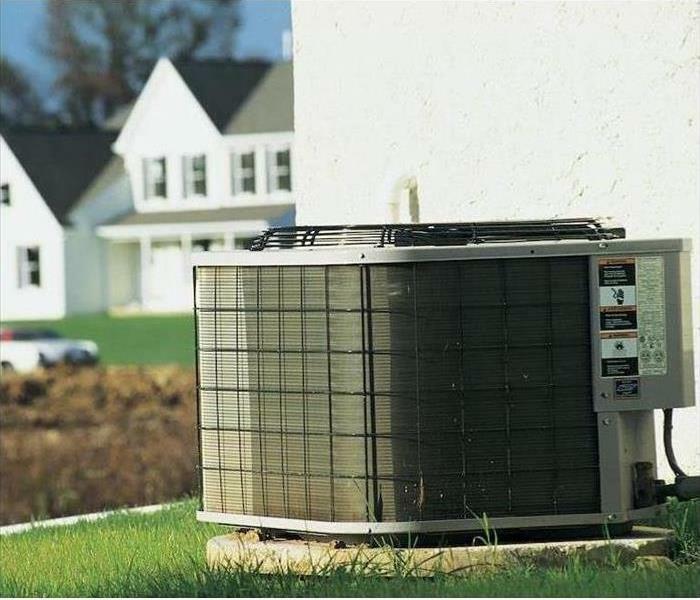 For anyone that has lived in the times where you did not have air conditioning or central heating for your Conway home, you can appreciate the convenience even more. Even with all of the advancements in the way that these appliances run and operate when you are using them to their fullest abilities, there are some precautions and potential risks that you are taking that you might not know. You likely didn’t know that homes have dealt with mold damage in Conway tied explicitly to the operation of circulating air appliances like furnaces or air conditioners. There are many instances that you do not even see this mold damage with your own eyes, but yet your nose can pick up the scent of must typical of a growing colony. The root of this problem is two-fold, from not having your duct system adequately maintained and cleaned over years of use and also the result of condensation on the metal combined with enough organic material in the network of ducts to allow mold colonies to grow. 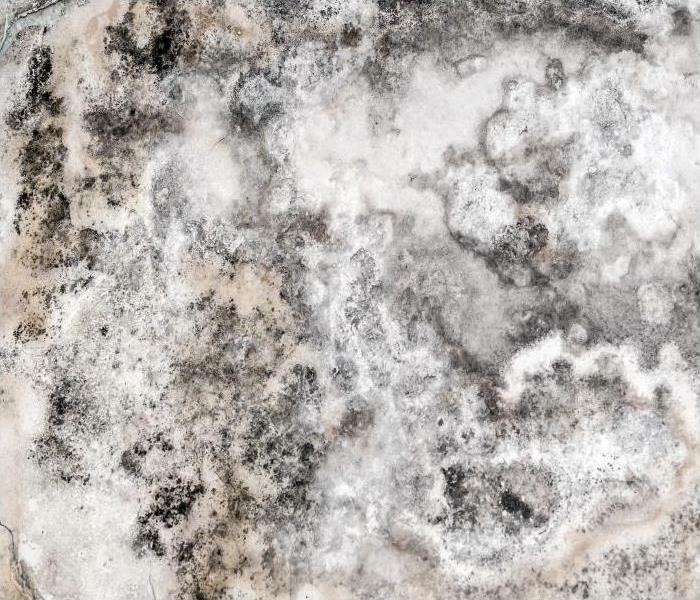 With it being common knowledge now that mold can cause health effects to those exposed to it, it indeed is not something that you want to allow to circulate throughout your home freely. Our SERVPRO professionals become certified in mold remediation to the high standards of the IICRC. We have gotten trained in all types of mold and fungal growth, as well as the best (and safest) means of removal. The first step is stopping the circulation of the air and working quickly to locate the colonies that are growing within the duct system. Once located, our SERVPRO technicians find the best way to reach this affected area, whether that is through the removal of sections to gain access or through concentrated vacuuming. Since your nose found the problem in the first place, this odor needs to be dealt with as well. Typically, a fogger would get used for this process. This dense chemical compound overtakes and neutralizes the musty smell, leaving no scent behind at all. Mold damage is something that you should take care of as soon as you encounter it. Our certified and experienced professionals at SERVPRO of Conway / Holden Heights are available to help whenever you need us. All you have to do is give us a call anytime at 407) 985-3200. Fires can affect your Edgewood home in different ways. The one common thread that every lingering symptom from the blaze shares is the hindrance they create to comfortable living. Finding your way back from a traumatic event like this is going to take some time, but with the right professional restoration company, you can have your home back much more quickly. Assessing fire damage to your Edgewood home is something that is also best left to the professional restoration specialists you employ to repair the damages. Our experienced SERVPRO team can thoroughly look over all of the affected areas and develop a step-by-step restoration plan that caters to the damage that is most problematic to living in the house. We can appreciate the situation that you are in and have the tools and expertise to handle any sized disaster that you may be facing. Our initial assessment can give our professionals a place to begin, based exclusively on the issues that pose more serious threats over time. For example, water damage is a common effect of fire extinguishing, but if left sitting too long could result in mold damage to your home. Structural concerns also get assessed. Our SERVPRO restoration specialists can determine if specific areas require minor repairs, or if the damage is too excessive and requires reconstruction. While our technicians have much experience with minor repairs of this nature, we are not residential construction contractors. We can prepare the damaged area for this process, however, using controlled demolition techniques and equipment to isolate the area needing replacement exclusively and preparing it for a contractor to begin their work. We dedicate our work to bringing your home back to preloss conditions as quickly as we can. A large part of this process involves communication with you to determine which lingering effects from the recent fire impact your family the most and cause the most trouble living comfortably. 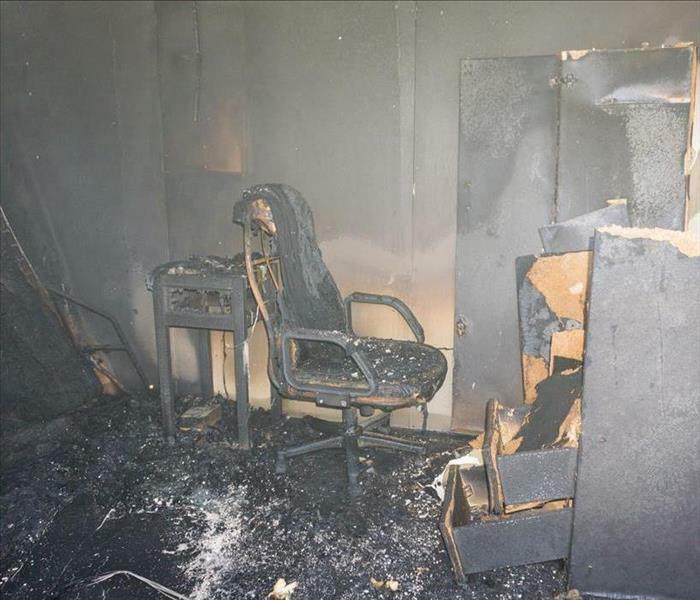 When you have dealt with a recent fire, you do not have to deal with the damage alone. Trust our experienced SERVPRO of Conway / Holden Heights team to help you set things right again. Give us a call today at (407) 985-3200. Welcome to this beautiful Central Florida city right here. When your home sustains flood damage after a Florida storm, contact SERVPRO for water removal and remediation efforts. Seasonal Storms can bring more than just rain to your Florida home during a severe downpour; they can also bring flood damage. In the case of your split-level home, the entryway and living/dining room flooded with water when the intense winds of the storm forced the door to fly open. The hardwood flooring and the base of the walls were all submerged beneath ankle-deep water, as well as various pieces of furniture throughout the impacted area. The best thing that you can do for your home upon finding flood damage is to call for help as soon as you can. The sooner that professionals arrive to address the flood damage inside your Conway home, the more likely it is that the remediation can progress smoothly. Waiting too long can cause the hardwood flooring inside of your home to bubble, crack, and split. The walls may begin to harbor mold colonies, and your furniture may significantly diminish in value, or even end up ruined. Calling for help as soon as the damage happens can significantly reduce the chances of further damages developing inside of your household. SERVPRO understands how alarming and overwhelming sudden home-damages can feel, and it is for that reason that we always strive to arrive swiftly at every job we tackle. On top of our speedy service, we pride ourselves on the advanced technology that we use and our various IICRC-certifications. SERVPRO always aims to provide swift, effective, and friendly service to your home. When our SERVPRO technicians arrive, we can begin by removing the standing water from your home with wet/dry vacuums. If the water was overly contaminated, to the point where it is considered black water, we can remove any carpets that have been impacted. We can remove any furniture that needs close, and attentive, care and take them to our facility, where they can be dried. After measuring how high up the walls the water came, we can make flood cuts and remove the water-logged drywall. To prepare for drying, SERVPRO can begin to disinfect and clean the surrounding area before we set up devices like drying mats, dehumidifiers, and axial fans. When a storm suddenly floods your home, never wait to get help. Get in touch with SERVPRO of Conway / Holden Heights by phoning (407) 985-3200. Day or night, our services are always available. Click here for information about Conway. Disaster can strike at any time, leaving our families in the midst of debris and at a loss for answers. In Florida, we tend to get advance warning when hurricanes, winds or storms threaten our homes, but we rarely think that fire could also affect us. 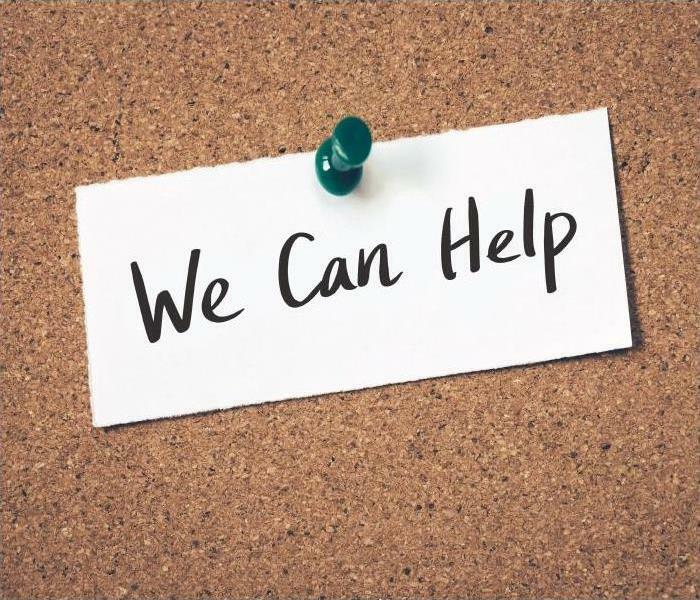 As homeowners, we need to quickly connect with the best in the industry to help us remediate fire damage and salvage as much as we can. SERVPRO is the answer to your needs. When there is fire damage to your Edgewood property, we help mitigate the devastation and work with you to protect the structure and contents of your home. Our team is on call around the clock and ready to apply its skills and experience to help you. SERVPRO technicians are IICRC certified to restore your home after it is affected by fire and smoke. Through our training and the availability of specialized equipment and technology, we are your greatest ally in bringing your property back to pre-damage condition. 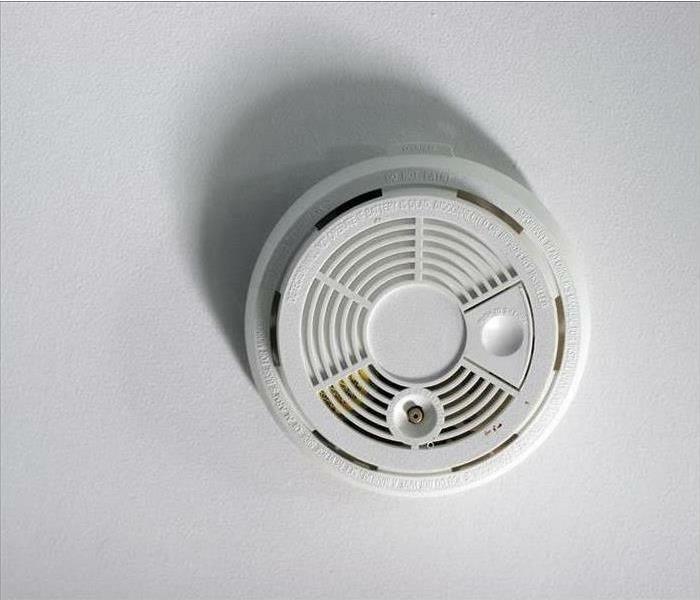 There is much to worry about after fire strikes your home. The immediate safety and lodging of your family are of top priority, followed by the physical integrity of your home and everything you had in it. Our team can make an assessment and work with relevant parties to determine which parts of your home are compromised if any. Simultaneously, we explore your belongings with the goal of salvaging as much as we can. In the process, we utilize solutions specific to each surface to help us eliminate traces of smoke and soot. Very often, the smell of smoke is the last priority but an overwhelming nuisance. Our deodorizing process includes different methods for neutralizing the odor and improving the quality of air in your home. For this, we may use air scrubbers, ozone generators and even thermal foggers to erase the smell from furniture and other materials inside the home. Click here for more about Edgewood. Appliance malfunctions are one of the biggest causes of water damage. A backed up washing machine might be hilarious on TV, but it's a lot less funny when it happens to you. Water and suds spilling across your floor are more like a horror show in real life. You may feel helpless, but SERVPRO is here for you. There is enough stress in your life, and broken washing machines increase that stress. There is no need to figure out how to move everything and soak up the mess yourself. We can arrive promptly to help you restore your home to its preloss condition. 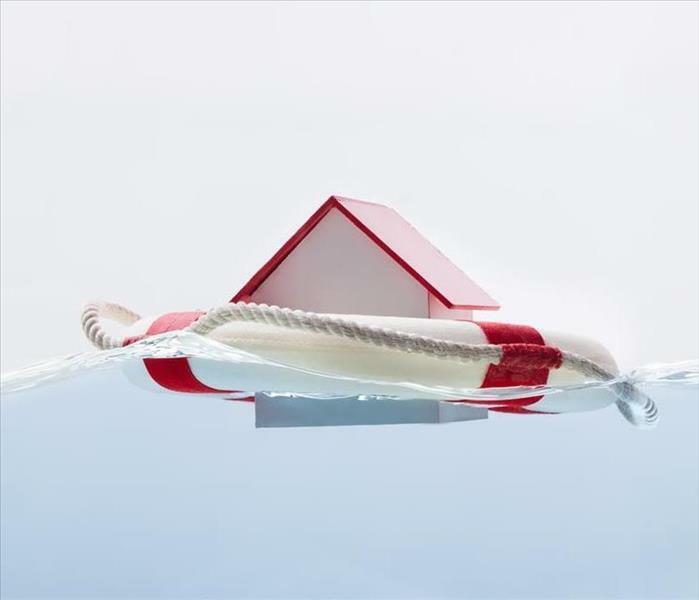 Handling water damage in your Pine Castle home can be more of a chore than you anticipated. Our Project managers can handle your cleanup and restoration assessment quickly. You need the right person for every job, with the right equipment, and SERVPRO can provide this to you. You may not be aware that balancing the number of air movers and dehumidifiers prevents secondary water damages, but we have a technician for every problem. The average home does not have dehumidifiers and air movers just sitting in the garage waiting for a water emergency, but we do. Our IICRC certified technicians can work hard to mitigate warped and buckled wood flooring or to dry out the concrete under the tiles. If your water damage gets into the baseboards, we can dry that too. Wherever you have water damage, we have the experts and equipment to take care of it. Water damage can get worse over time. As little as one day can make a huge difference in how much repair you may need. Don't just mop and guess. Our team can swoop in, and handle the situation. After all, We’re Faster To Any Size Disaster! No matter what your situation is when we arrive, we are ready to handle it. Let your towels stay in the linen closet. SERVPRO can use our state of the art technology and expert training to remedy your situation. We can even help you figure out salvageable items and what needs to be removed and replaced for your safety. You can count on SERVPRO of Conway / Holden Heights to make you feel "Like it never even happened." We are available to help 24/7 by calling (407) 985-3200. Read more about Pine Castle here. 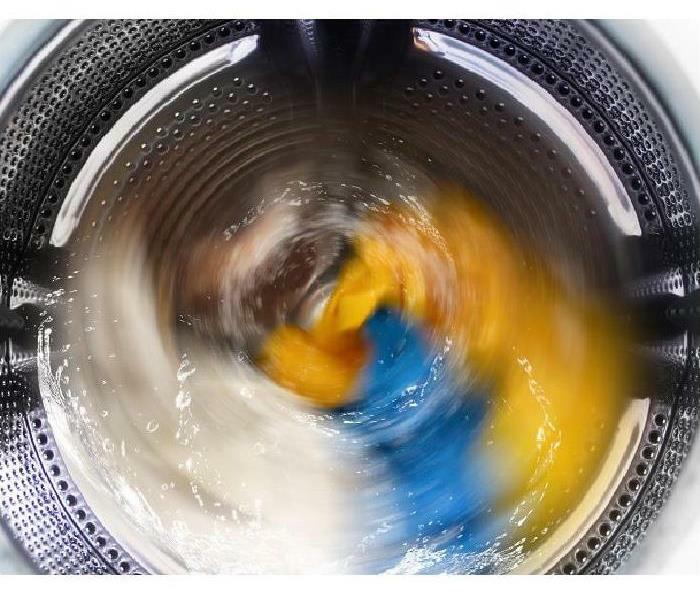 4/22/2019 - If A Water Damage Disaster Occurs In Your Conway Laundry Room, Our Crew Can Help! 3/22/2019 - What is the Best Way to Remove Smoke and Soot Damage From Your Conway Home?